Getting Fit for Dragon*Con is about a lot more than getting up in the JFZ and torturing the Whirly Bird. It’s about trying to change your life, for the better. Not just a change in activity level, but a change in diet and attitude, as well. Some may say that I haven’t tried, and they may be right, because a lot of the time, I’m not trying. Like last night at Target when I bought that pack of “pumpkin cheesecake sandwich cookies”. To be honest, I’m roughly the same size I was when I started this blog, despite going through a lot of weight fluctuations that, coincidentally, have coincided with trying… or not. This morning for breakfast, I had sardines and triscuits. I’ve expressed my love for triscuits on this blog here numerous times, but the main point of triscuits is that they do not screw around. We’ve discussed, numerous times in past sardine reviews, the benefits of eating fish, and sardines in particular. For one, my wife the Marine Biologist, told me that smaller fish have lower concentrations of Mercury. Mercury bad. I know that it is kind of a moot point to review something that most people don’t like anyway. I mean, you know whether you like sardines or not, but for those of us who like them, we know that not all sardines are created equal, and that some of them are downright horrible. I’m not even sure where I got these, but they were in our pantry. They could be 50 years old, but they’re canned, so I figured they were fine. When I opened them they smelled like rotten fish, but that is normal for sardines. So for now, I’m awaiting the test results from the lab in my colon. Apparently, it means that this is a can of fish soup. No problem. I like a nice fish soup… when I’m about to make a gumbo. When I’m in the mood for a can of sardines, I want whole little fish that I can fish out with my fork and place on a triscuit. People either like sardines, or they don’t. Taking the time to skin and filet tiny fish is not going to change anyone’s mind about that. I realize it gives you an excuse to double the price, but “double the meat!” ain’t exactly what’s going on here. 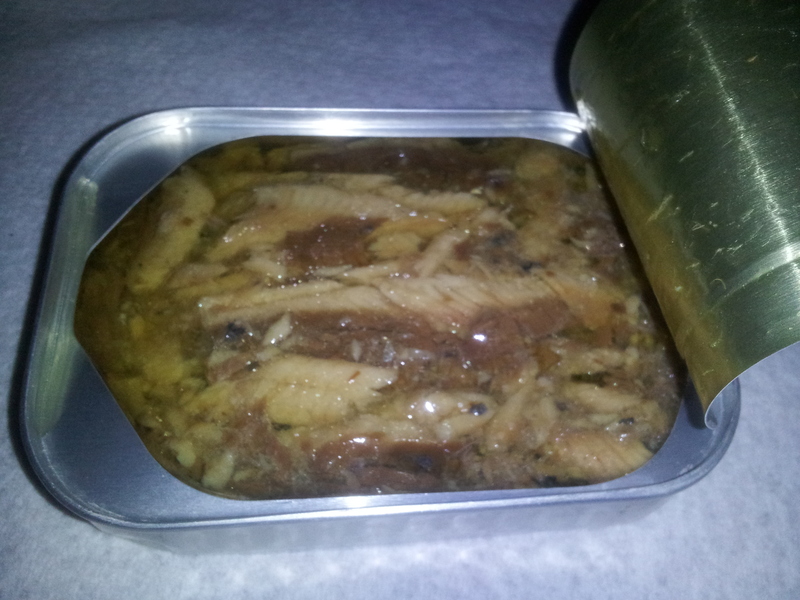 To the untrained eye (mine), it looks like you took a regular can of sardines and scrambled it. These are not eggs. They are fish. Hard to wrap your mind around that one, I know, but it is the truth. And “scrambled fish” is a dish you’ve never heard of, because it doesn’t exist. Because people don’t want their fish served scrambled. Nor do they want them tightly packed into a can, but that is besides the point. Overall, I give these a 6/10 tiny fish skeletons. From looking at these on amazon, they are definitely not worth the price. You can get a can of nice fish stock for about half the price, and that’s what these remind me of. When I want sardines, I want sardines, not shaken and stirred fish martini. There has to be a joke in that brand name somewhere. 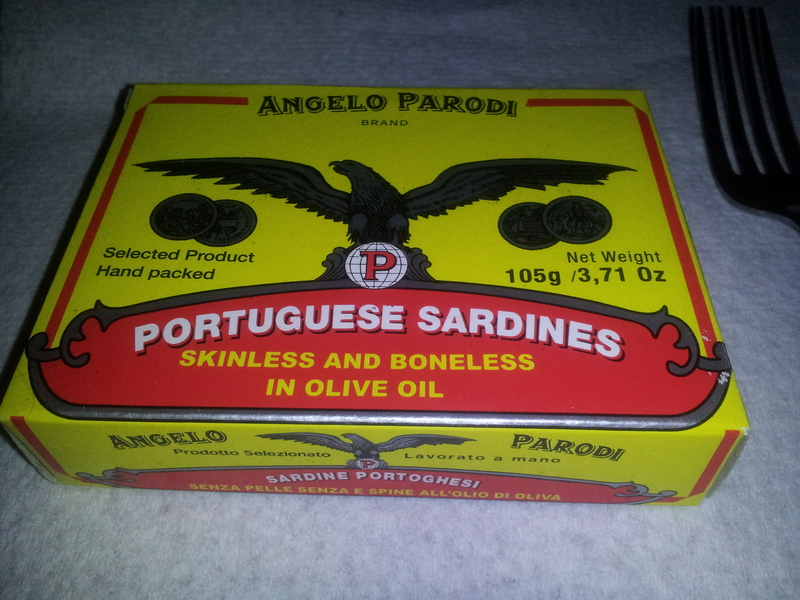 These are certainly a “Parodi” of real sardines. Now all 6 people who follow this blog can sleep at night when they unfollow me, knowing I deserved it for that one. This entry was posted in About Fitness, About Me and tagged diet, fish, fitness, health, herring, reviews, sardines, triscuits. Bookmark the permalink. October is nearly upon us once again. Is Claude returning to Earth? This is entirely possible, but not probable. Been missing you on fb, by the way.